Disclosure: I am writing this post in partnership with GH Creators, all opinions are my own. 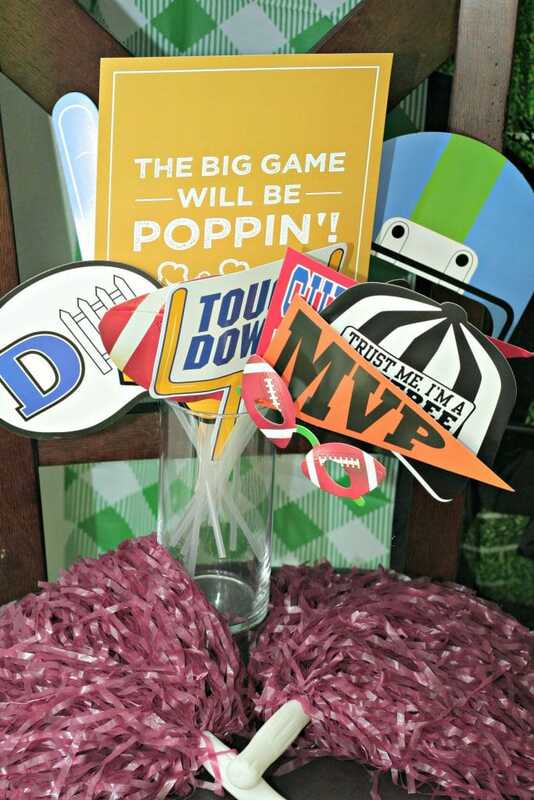 Sunday the big game happens and although my husband is a football fan and I am more excited about the Justin Timberlake half-time show, we are definitely excited to share some snacks, enjoy some time together and celebrate a big win! Our boys may be out of the running, we we are definitely rooting for the guys in teal! 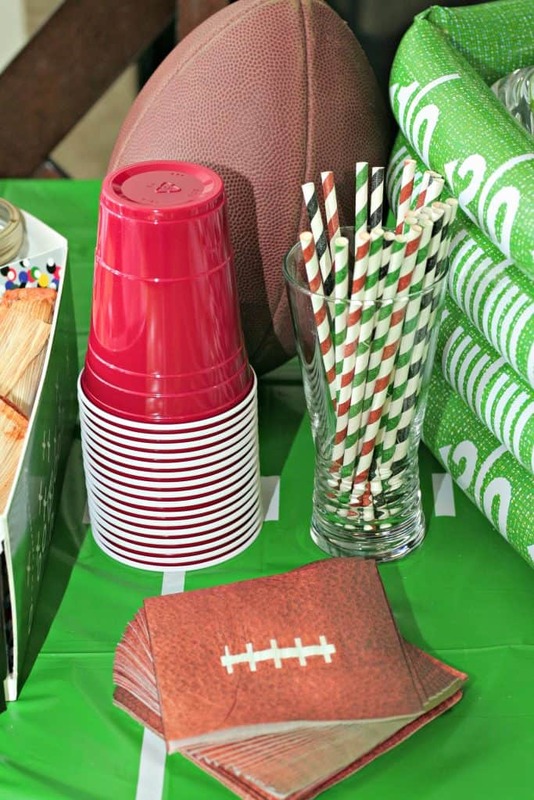 If you are anything like me and you want to throw a game day party that is easy to set up, then this is the post for you! I like to keep things simple when we have people coming over. 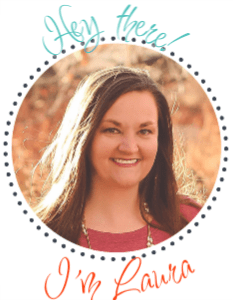 You can do a lot with some great decor, simple snacks and easy to make food and drinks. I grabbed our favorite popcorn flavors from G.H. Creators, some ready to heat tamales and easy finger snacks like pickles and olives as well as some drinks and some sandwiches and went to work doing a quick mock set up of our game day party for Sunday! Last year at Mom 2.0 I was introduced to the amazing popcorn from G.H. Cretors and I was sold. After eating all the samples I could at the conference, I came home and made my husband take a Sunday trip to the store just for two large bags of The Mix which is a cheddar and caramel combination that is amazing. So when I was able to get my hands on their two new flavors Cheese Lovers Mix and Buffalo and Ranch Mix, I was very excited and knew that they had to be a part of our game day celebrations. 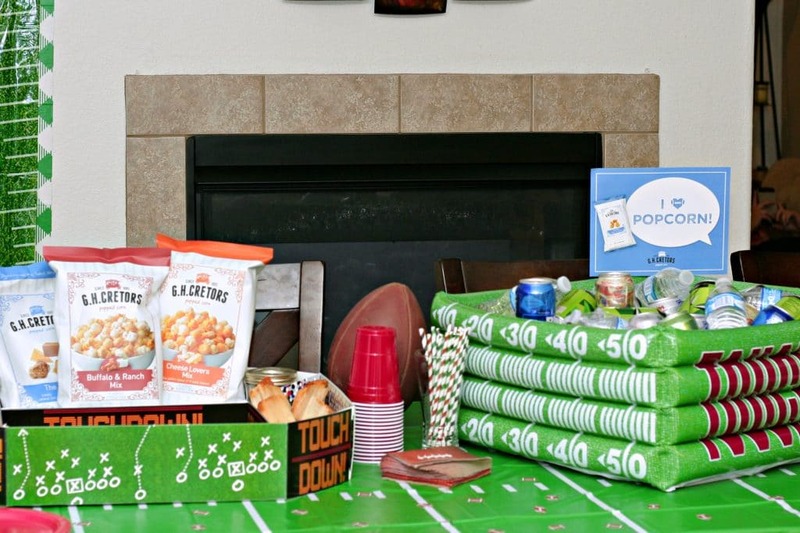 Setting up this celebration was super easy, grab some football themed decor like table cloths, napkins, bowls and I could not pass up the snack stadium and awesome blow up cooler! Of course I want to have the G.H. 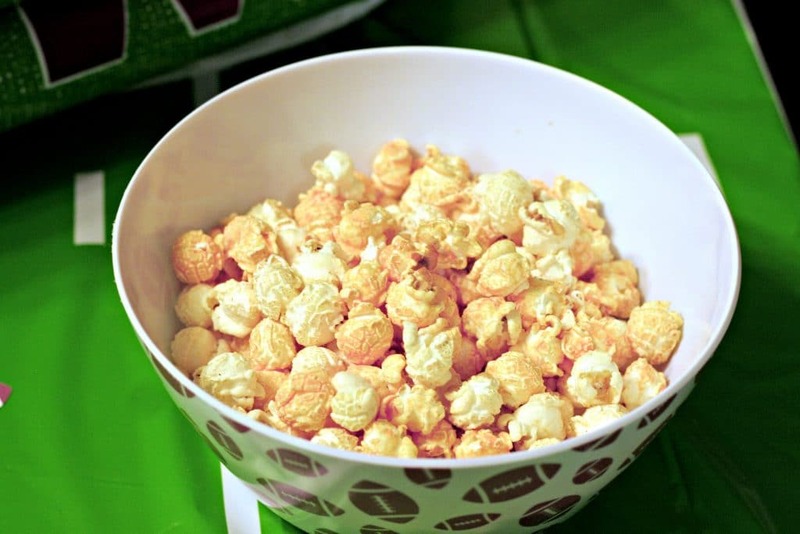 Cretors popcorn in more areas than just the kitchen and I like to carry our theme throughout the party so these super cute football bowls were perfect for in between snacking during those big plays! The Cheese Lovers Mix was gobbled down by my children while we were doing this mock set up before the party on Sunday so I already have to go get more popcorn! It is so yummy! The party decor is so easy to find right now and just adds to the theme and really this took us all of 10 minutes to get it all set up. We put out cups, straws, napkins, plates, added the snack stadium and put some of the snacks in to make sure they will fit and then filled up the blow up cooler just to see how much it would hold. FYI, it holds a ton, we won’t be running out of drinks on Sunday for sure! One thing that I also wanted to add was a little photo booth area. I had found these super cute backgrounds and could not pass them up, plus G.H. Cretors sent some adorable photo booth props and I couldn’t not put them to work! I mean look at those kids of mine being great little blogger kids. 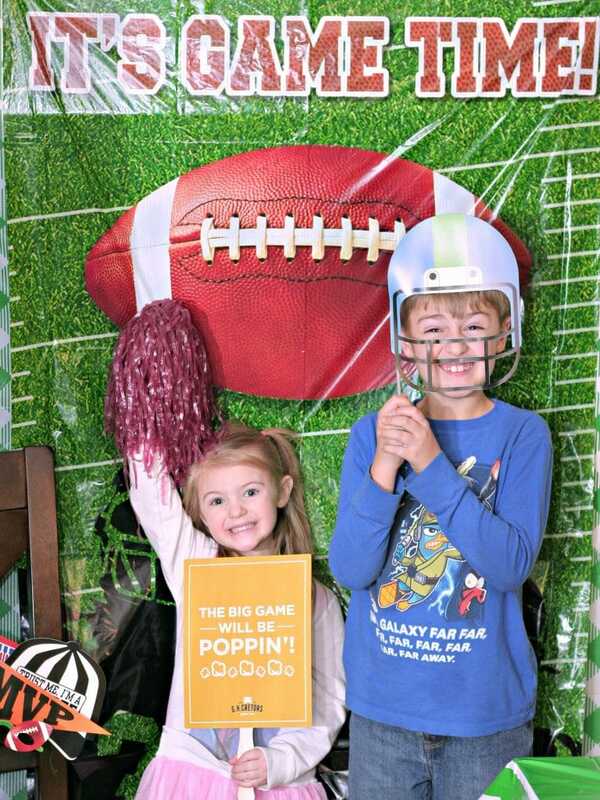 I honestly couldn’t get them out of the photo booth area and we laughed a ton as they went through each of the props! If you are ready to get your Game Day Poppin’, grab some G.H. 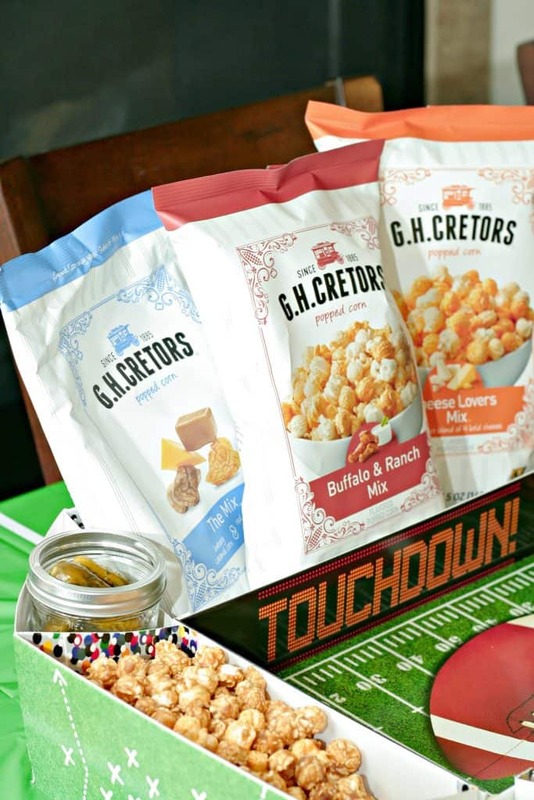 Cretors popcorn (you have to try their new flavors) and some easy party decor and invite your friends and family over. I know we are so excited for Sunday!